Instagram has taken the social media world by storm. While Facebook may still be the largest social network out there, Instagram is apparently the fastest growing one. More importantly, however, Instagram is arguably the best platform for marketing, given that the users there don’t hesitate much when it comes to pulling out their wallets, which is probably the biggest challenge with other social networks. The potential engagement a particular business or brand can generate through Instagram is also surprisingly impressive. To be precise, a particular study recently revealed that Instagram tends to generate as much as around 25% more engagement than other social networks. However, not all brands, businesses or even users trying to get some exposure manage to get where they want to with their marketing efforts on Instagram. This is because just like marketing on any social network, you need a plan and a lot of knowledge about what works and what doesn’t while trying to build a huge follower base on Instagram, which is probably the ultimate target of every brand and business. But there seem to be a long list of ways out there that usually turn out to be highly effective, with some requiring no to little investment, and are reasonably easy to learn and implement. So without further ado, we will jump straight into discussing and learning how to use them to grow your followers on Instagram. Well, although this is not directly related to gaining followers, it’s something worth knowing about all the same. Without a plan, you may end up wasting a lot of resources and have a really poor return on investment. This is basically a set of things that will help you get started, and more importantly, help you figure out what you should be doing. Simply trying to increase your followers without being aware of any of these things may result in a huge wastage of your time (and perhaps even money), and not yield the results you otherwise could. A simple trick to gain some new, targeted followers is to improve the visibility of your Instagram account by using your other web properties. This means linking to your Instagram account on your website, as well as your other social media accounts such as Facebook and Twitter. However, simply asking them to follow you on Instagram may not help much, especially while using your other social media accounts. You should try to give a clear reason to your audience for following you on Instagram. Furthermore, you may even want to consider boosting the post using paid advertising, which would help ensure more exposure so that more followers from your other social media accounts end up following you on Instagram as well. Using the right hashtags is considered one of the simplest ways to get more exposure for your posts on Instagram and attract targeted followers. However, while there seem to be many tremendously popular hashtags on Instagram that are easily accessible, the idea here is to use popular AND relevant hashtags. It ensures that only the right people land on your posts, meaning a growth in targeted followers and long-term engagement. Now, in order to find the right hashtags, firstly, you can refer to the first point we listed in this article. The popular hashtags that your competitors have used with great success may help you achieve a similar level of success as well. There are also many third-party apps that allow you to do hashtag research and find popular and relevant hashtags for your niche. However, you can even simply do some searching around on Instagram to find such hashtags as well. You can simply use the search box to find which hashtags are the most popular in your niche, and use them in your posts to attract targeted followers. Not using popular but irrelevant hashtags such as #tagsforlikes, #likeforlike, #followme and more. It may result in a temporary boost to your follower count, but wouldn’t generate any meaningful engagement. Moreover, these hashtags are usually used by spammers so if you want to build a brand image, these hashtags are a big no. Don’t overuse your hashtags. Don’t stuff them in just because they may help you get a little more exposure. Only stick to the ones that are very relevant and wouldn’t distract your audience or dilute your message. You can consider using your own, unique hashtags. They help you stand out and sometimes, help build a stronger relationship with your followers. Well, this is a no-brainer but still a surprisingly overlooked factor. If you throw anything on your Instagram account you feel like, without putting in any thinking into it, you will most likely end up with a poor engagement rate and struggle to increase your follower count. If you post photos that are not clear or interesting, there’s hardly any reason for your target audience to follow you, as they may not find much value at all in your posts. In order to avoid this, you need to follow some guidelines, such as the ones mentioned below. Even if you’re posting great content, it may not lead to higher engagement if it’s not focused around your target audience. Similarly, if the content is very relevant to your niche but not much useful or interesting, it may meet the same fate as well. So your content needs to be well thought out, relevant and useful. Besides, it also needs to use the hashtags properly. Posting at certain times of the day will fetch you more followers and better engagement. You need to do some analysis and find out at what time your posts perform the best. If you find that your posts are generating more likes, comments and followers in the morning than in the afternoon and evening, you may want to change your content schedule accordingly. This is another simple factor when it comes to gaining followers naturally. If you aren’t posting consistently, you may not only find it difficult to gain new followers, but may also not be able to generate much engagement with your existing ones. Posting high-quality, useful and unique videos may also work quite effectively when it comes to gaining new, targeted followers naturally. It may seem like a lot of work but if you do it right, and combine with some other strategies, it may turn out to be well worth it. We are probably done with discussing some of the most common ways of increasing followers naturally. So we will now be getting into other ways that usually have the potential to help you gain huge amounts of followers. The first such way we will be discussing is buying fake followers. Nowadays, a surprisingly large number of accounts, including many celebrities, public figures and brands buy fake followers to inflate their follower count and appear more popular. In fact, the fake followers industry is believed to be a multi-million dollar one, which speaks volumes about how popular it is among brands and users trying to increase followers. A major advantage of buying fake followers is that it probably makes it easier to gain real followers to a certain extent. It’s because a large follower count may make the account more appealing to the target audience, so they will be more likely to follow you, given you post quality content. However, apart from that, there doesn’t really seem to be any other advantage of fake followers worth considering. But, there do seem to be quite a few disadvantages of buying fake followers. The very first one is that fake followers generate no engagement. So, while you may have 10,000 (fake) followers, you may not even get a single like from them on your posts. This would result in loss of credibility, and instead of helping increase followers, it may scare away potential followers as they wouldn’t want to follow an account that’s trying to inflate their follower count or resorting to deceiving tactics. Also, as most of these fake followers may not even have proper bio or posts (if any at all), and many times, not even a profile picture, they would obviously look very spammy on your account. Furthermore, fake followers tend to drop sooner or later. 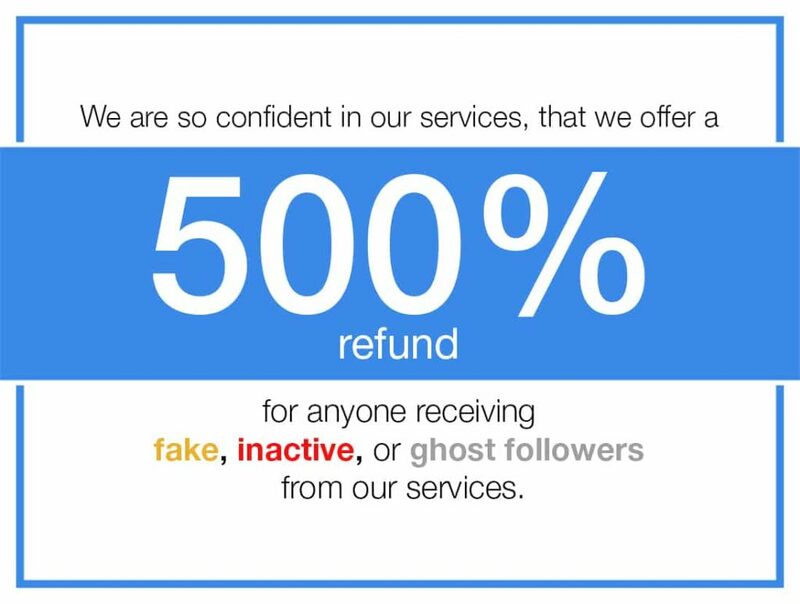 More importantly, there’s always a risk of getting found, which means that you may be putting your account at risk while trying to boost your follower count by buying fake followers. This is inarguably one of the most popular and effective ways of increasing followers. However, unlike buying fake followers, it helps you gain real, targeted followers, and Instagram has absolutely no problem with users or brands trying to grow their accounts by buying shoutouts. In fact, it’s what most brands do to get a huge follower boost, as well as to drive a lot of traffic to their website or while trying to get sales. However, it’s not as easy as it sounds. Perhaps the biggest challenge is finding the right accounts to buy shoutouts from. The ones that are in the same niche as yours, and have a huge following and a reasonably good engagement rate are usually your best bet. However, there are other factors to consider as well, such as how frequently they sell shoutouts. If they are selling one every few hours, you may want to stay away from them. However, buying shoutouts from the right accounts may go a long way in helping you build a huge follower base, driving a lot of quality traffic to your website, as well as possibly getting a good amount of sales. Perhaps the only downside to it is that you have to spend money every time you want to gain new followers. Also, usually, permanent shoutout posts cost more, and the ones that are only up for a few hours or days stop offering much benefit once they are taken down. Furthermore, if you’re relying only on this method for growing your account, you may have to spend a huge amount of money to build a decent-sized follower base. Here’s something that we think is a slightly overlooked way of growing an Instagram account, especially when compared with some of the other ways. However, it seems to be the most effective way of increasing your followers and growing your account faster than you can imagine. Basically, this strategy involves engaging with your target audience, which helps you gain lots of new, targeted followers consistently, or for as long as you continue following this strategy. The first way that you may want to consider is simply following the followers of popular accounts in your niche. However, instead of simply following any followers, you would preferably want to follow those who are actively engaging with them, by liking their posts or commenting on them. This ensures that the followers you would gain would also help generate more engagement. Similarly, liking and commenting on the posts of users you want to turn into your followers usually works great as well. This is because it encourages them to take a look at your account, and if they find quality content there, they end up following you. Some may simply return the favor by following you, as most users like to follow accounts that actively engage with them. These simple methods indeed work quite effectively, and may very well help you build a huge follower base in a fairly short period of time. However, you need to put in some real efforts into them. Simply posting spam comments or liking photos randomly isn’t going to take you far. You need to put in some time and post relevant, useful comments and like the right photos. Sometimes, you also need to have the right combination of likes and comments to gain the exposure you’re looking for. The downsides to these methods are quite obvious. They are very time consuming and may require quite a bit of efforts and consistency. They also require you to focus on other aspects of your account such as your content and the way you engage with your followers. In order to maintain the level of engagement you would achieve using these methods, you would also have to actively engage with your followers, by replying to their comments or posting content that interests them. This is similar to buying shoutouts, except that even you will be shouting out the other account. Now, shouting out others may mean that you’re either doing a shoutout exchange, which is a very common practice among popular Instagrammers, or simply trying to encourage the other user to give you a shoutout as well. Exchanging shoutouts, too, is considered a pretty easy and effective way of growing your follower base quickly. However, just like buying shoutouts, it involves quite a bit of research. As for shouting out other accounts simply to encourage them to do the same, you need to choose accounts that aren’t too large than yours. It’s simply because such accounts may not benefit much from your shoutout, and hence may not be interested in returning it. It’s probably best to buy shoutouts from such accounts. Apart from that, the things that we mentioned for exchanging shoutouts apply to this technique as well. Usually, some of the common problems people come across while using these techniques are doing shoutout exchange with wrong accounts and shouting out accounts that don’t return the favor. Contests seem to be an increasingly popular way of increasing followers on Instagram. However, not everyone knows how to use them the right way, but the ones who do manage to gain a lot of targeted followers quickly, besides driving a huge amount of traffic to their website and sometimes also getting many sales. Contests encourage users to engage with you the way you like them to, which, if used the right way, can be used to draw in followers and traffic to your website. You can ask people to either follow, like or comment on your posts, or even repost them to their account using a specific hashtag. This may go a long way in helping you gain quality exposure which can otherwise be very time consuming or costly. User-generated content helps draw the attention of the engaging users’ followers to your account, and build trust with new followers. A good contest usually achieves three things: gives a reason to your followers to engage with you, and in turn, help you fetch an increased exposure, showcases your products to your target audience, which may result in a good few sales, and offers a reward to the community for doing something they usually like to do anyway. However, as mentioned above, running a successful contest can be quite challenging. It requires quite a bit of thinking and creativity to make your followers and other interested users participate in the contest and take the action you want them to. Also, if it involves offering something expensive, you can’t afford to do it every now and then. But overall, if done the right way, running a contest can still be a great way to get a huge (though usually temporary) boost in your follower count. This is another simple trick that helps you gain quality exposure. Apparently, it’s being used by many large accounts with great success. So for example, if you’re sharing something useful, you can ask your followers to tag their friends who might find it useful too. This would help you get a lot of free, quality exposure without much efforts fairly quickly, Also, if you have been posting quality content, the users who have been tagged by your followers would likely follow you as well. Another simple trick to generate engagement with your followers is asking a question in your posts. If it’s something interesting, many of your followers may answer it, resulting in higher engagement, a better relationship with your existing followers and attracting people who may be just as interested in what you’re offering. There’s hardly a downside to this one. You would perhaps just want to be a little careful while requesting your followers to take a specific action, as trying to push them too hard may result in some followers unfollowing you as well as loss of engagement and credibility. Again, this is quite an overlooked factor. However, if the research done by Georgia Tech and Yahoo Labs is anything to go by, filtered photos tend to get 21% more views and 45% more comments than unfiltered ones. Better exposure was shown to lead to achieving a larger reach, while the other two factors were found to be helpful in generating more engagement through comments. On the other hand, two filters were found to have a negative effect: saturation and age effects. While the former resulted in slightly less user exposure, the latter resulted in less comments.